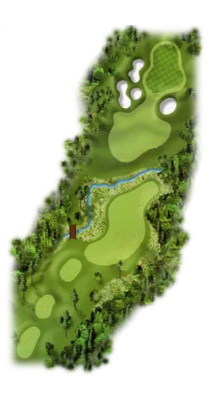 A short, uphill Par Four with teeing options. Players may lay back and hit a full wedge in with their second shot. Gamblers can take the Big Stick out and go for the green. Putting can be treacherous on this sloping green.